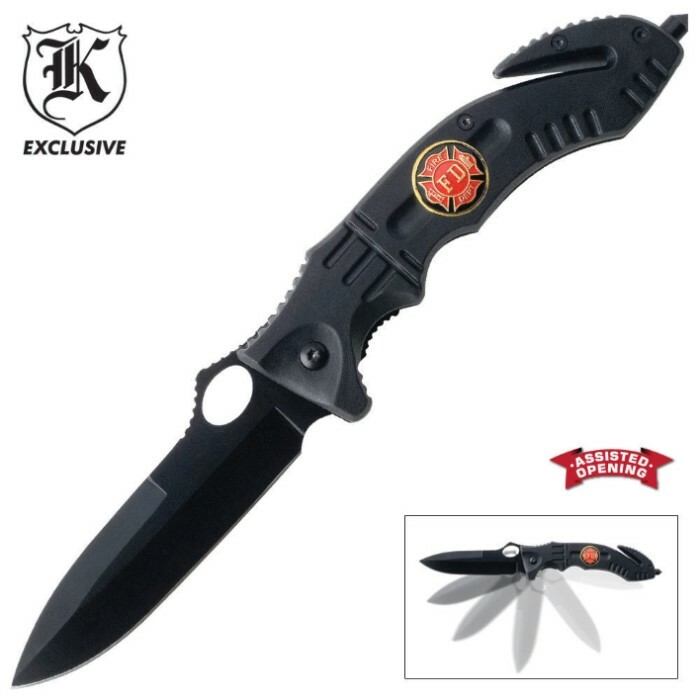 Fire Rescue Black Pocket Knife | BUDK.com - Knives & Swords At The Lowest Prices! A firefighter needs a knife that means business and never gives up, and this 5" assisted opening beast never quits. Featuring impact resistant handles with an embedded fire department shield, it not only looks nice, but always works hard. For the price, it's a descent knife, but the screws came loose and the lock wouldn't work, until I did some work on it. However, it looks nice, and the glass breaker works, and the blade comes sharp. The first thing that I noticed about the knife was that the lock didn't work, this was right after shipping. After that (About 2 weeks later) The liner lock on it broke after one of the screws came off. 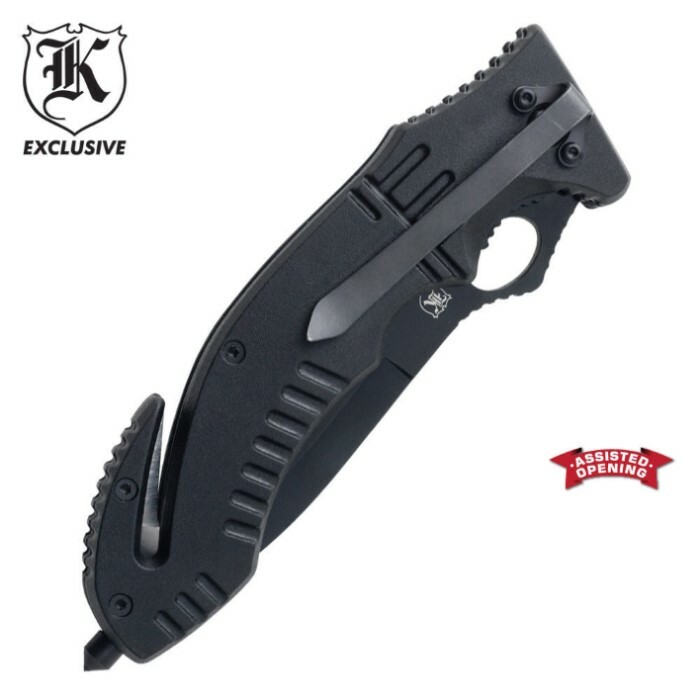 Maybe it was just one bad knife, but if you don't want to waste a good 100 bucks don't buy this knife. pretty decent folder and can't beat price, a little bigger than I thought. I like to loctite screws on a new knife. Only negatives would be, glass breaker is screwed into plastic and quality of screws. It came with a decent edge, not bad at all for the price.